MoveUP is supporting the BC Federation of Labour’s (BCFED) campaign for improved Employment Standards and Labour Code legislation. This spring, the government will be revising B.C.’s Labour Code and the Employment Standards Act. This legislative change will directly affect workers British Columbia, regardless of whether or not those workers are unionized. Adequately protect and ensure that workers’ charter rights to join a union are respected and made simple without fear of intimidation or harassment by employers by restoring a one-step certification process. You can show your support, and tell the government that all workers – whether they are unionized or not – deserve to be treated with fairness, dignity, and respect when they are on the job. 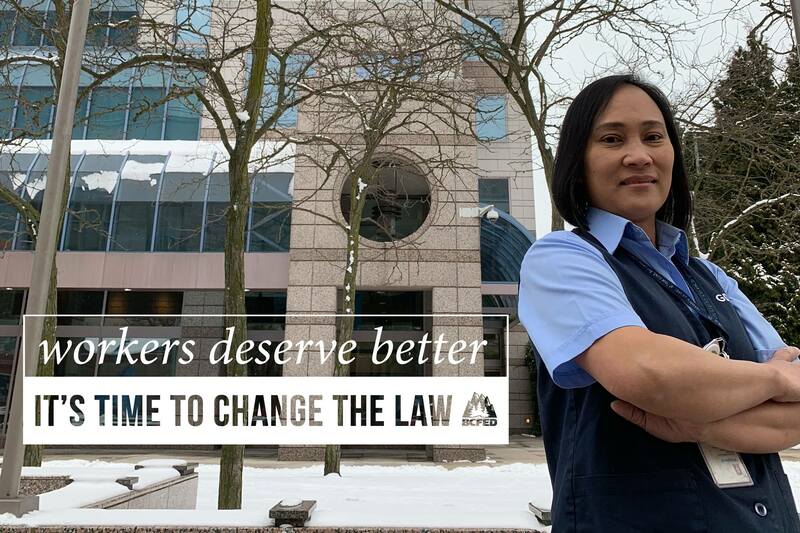 Visit www.workersdeservebetter.ca to learn more, and send a letter to MLAs who have the power to help all workers in B.C. Click here for a shareable information flyer.